Our White Opal Pairs are obtained by sawing through the opal seam to get what is called a book leaf pattern (a mirror image). The resulting two natural gemstones are then cut and polished to shape. 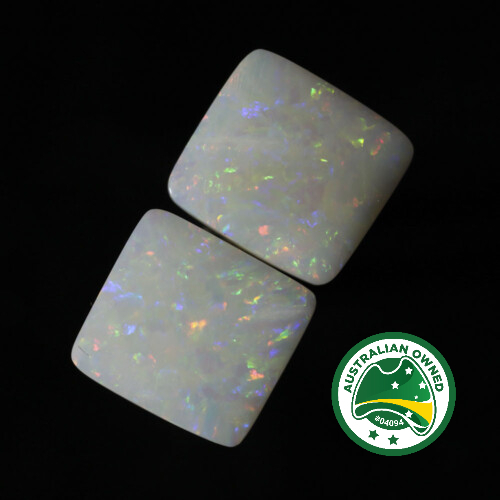 Our White Opals are natural stones from Coober Pedy in South Australia.